Available in 3 sizes - 18"-31", 27"-49" & 36"-64". The INCRA Telescoping Flip Fence is designed to give your INCRA Miter Gauge outstanding performance. 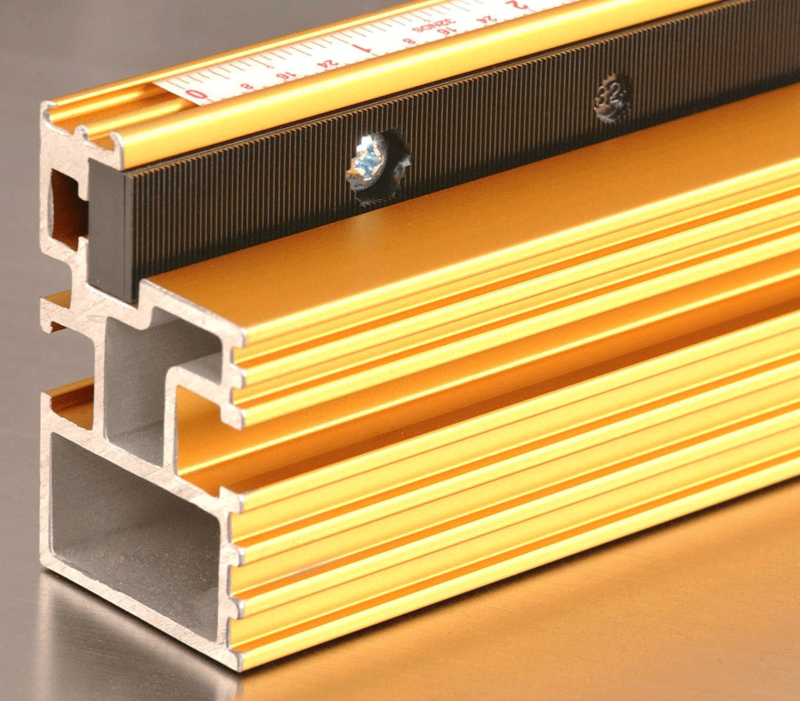 Manufactured from aircraft grade aluminum extrusions, this fence profile is designed to coordinate perfectly with the optional Flip Shop Stop shown in these photos. 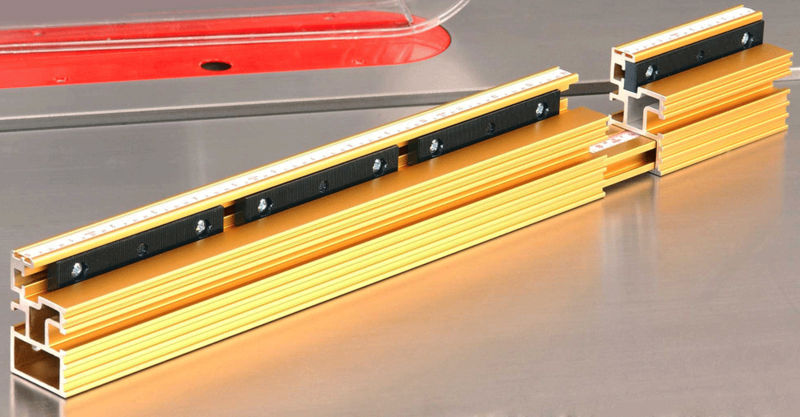 The interlocking fingers on the Stop and Fence give you a perfect stop even when cutting sharply mitered workpieces. 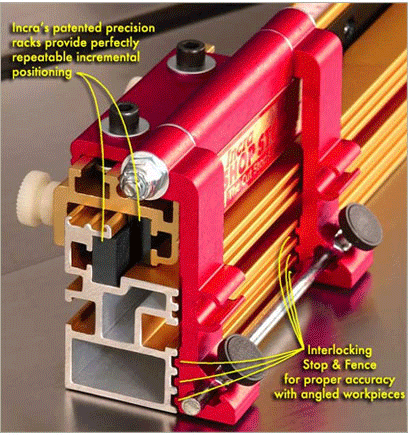 And of course, INCRA's patented rack system is fully integrated in the fence to give you the incremental accuracy made famous by INCRA Tools. The INCRA Flip Fence and Flip Shop Stop are popular upgrades for all INCRA Miter Gauges, and the Flip Fence's mounting T-slot also allows integrating this stop and fence system into sleds and miter saws as described in this user video. 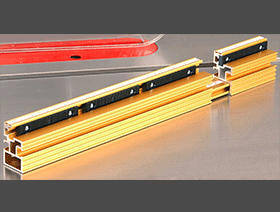 Flip Fences can be used with every INCRA Miter Gauge and the Flip Shop Stop. Flip Fences are NOT compatible with the standard, "non-flip" Shop Stops from INCRA Router Fences or INCRA Track Systems. INCRA Telescoping Flip Fence 18" to 31"
INCRA Telescoping Flip Fence 27" to 49"
INCRA Telescoping Flip Fence 36" to 64"
This Top-of-the-Line Fence Fits Any INCRA Miter Gauge. 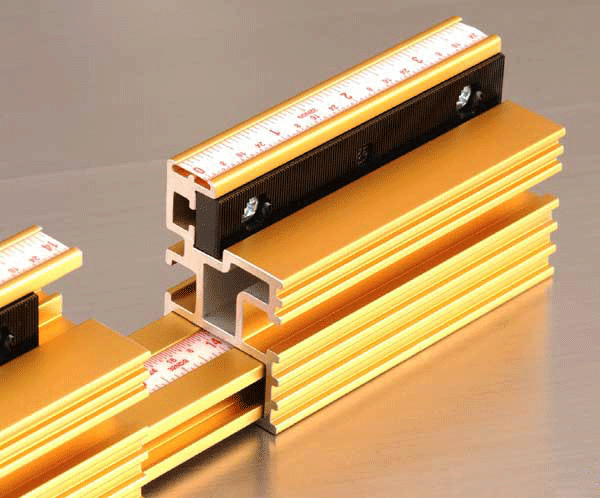 Click to read INCRA Miter Gauge e-Brochure. Click to see Miter Gauge Comparison Chart. Click to download INCRA Miter Gauge - IncraLOCK Cut-Off Fence Video in Windows Media format.